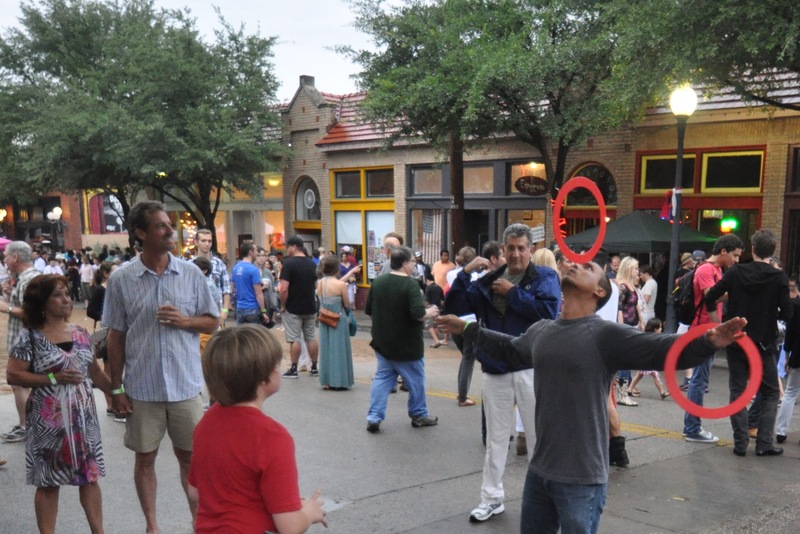 For the second year in a row, I performed with some other kids from the Lone Star Circus School during the Bastille on Bishop street fair today. Caroline Storey and Jesse Patterson were also performing — they’re great! Caroline juggled and performed with hula hoops, and Jesse performed with hula hoops. Me, I juggled, and did some magic tricks, and a little bit of rola bola. It was really cool this year — the temperature never got above 80 degrees. It rained a little, which made it hard to juggle and balance on the rola bola, but we took a break and had dinner at Eno’s Pizza Tavern, and by the time we had eaten, it was dry and the rest of the evening was great. Everybody is always super nice at Bastille on Bishop — every year, I learn new tricks from jugglers who just stop by and start talking with me. This guy was great — he never even told me his name, but he taught me three new tricks! 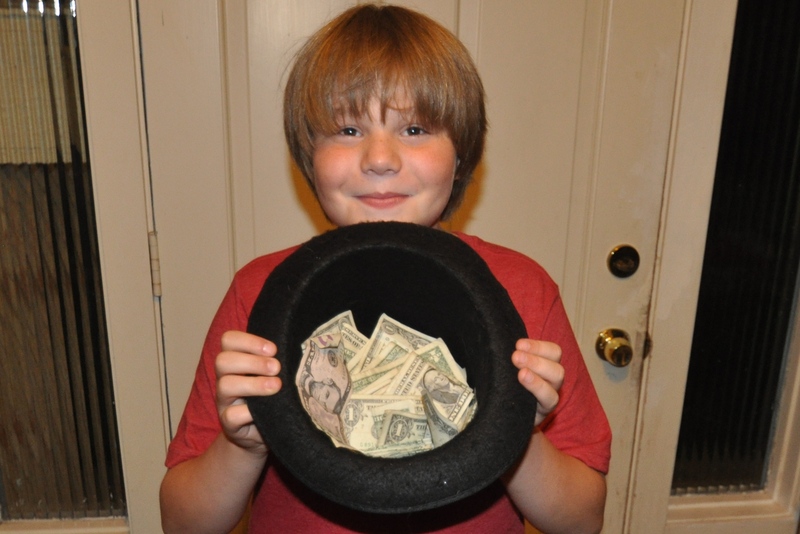 Last year, my grandma wouldn’t let me put down a hat for tips, but people kept trying to put money in my pockets. So this year, she let me put down a hat — and in just over an hour and a half, I collected $60 in bills and a lot of change I haven’t counted yet. That’s a pretty good gig for a 12-year-old, I thought! I leave for Circus Smirkus summer camp next week, so I’m sure I’ll find a way to spend some of that money while I’m on my trip. I really like Bastille on Bishop — hope it’s this cool next summer, because I’ll definitely be back if they invite me!